SKU: FPVCG Category: Electro Acoustic Guitar Tags: Faith, Faith FKV Cognac, Faith FKVECG, Faith FPNECG Nexus, Faith Guitars, Faith Naked Venus, Faith Nexus, FKV, FKVECG, FPNECG, Naked Venus Brands: Faith. The Faith Nexus Venus Electro Acoustic, Cognac provides the player with comfort throughout each performance thanks to Faith’s iconic Venus cutaway body, combined with a solid mahogany construction and on-board Fishman electronics, the Faith Nexus Venus is perfect for the gigging guitarist and performing singer/songwriter. With a body constructed entirely from solid mahogany, the Faith Nexus Venus produces a clear, punchy sound and added emphasis to bass and trebles while also being rich, full, resonant and falling on the warmer end of the tonal spectrum. Additionally, the all-mahogany construction performs particularly well within old-school blues, roots music and slide techniques but is also incredibly responsive and dynamic when driven with a harder pick attack as well as lighter picking techniques. Furthermore, the Nexus Venus also features a comfortable auditorium-inspired body shape, known to Faith as the ‘Venus’, providing a comfortable playing experience and a well-rounded sound. Lastly, the Faith Nexus Venus comes equipped with a Fishman Sonicore pickup and Fishman Isys+ preamp, perfect for live performance and amplified rehearsals. 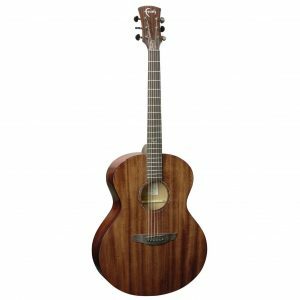 The Faith Nexus Venus offers an all-mahogany construction, with a solid top, sides, and back that provide the player with a full-bodied, rich-sounding acoustic guitar. 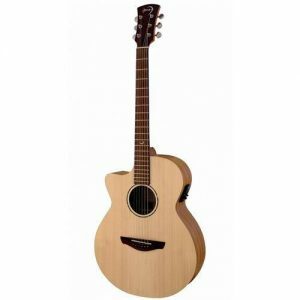 Its beautifully figured solid top has a natural compression that produces strong fundamentals with a clear, direct focus. 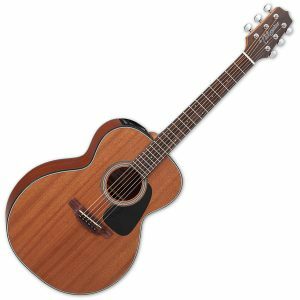 Additionally, its solid back and sides add resonance and a distinct warmth to the guitar’s sound, whilst producing a punchy, woody, meaty tonality and emphasis within the mid-range. Furthermore, with its entire solid-wood construction, the Nexus Venus offers natural resonance and will perform superbly within numerous playing styles. Lastly, the Faith Nexus Venus is stripped back of unnecessary cosmetic finishes and features a hand-applied cognac stain with a carefully applied high gloss lacquer that adds a layer of protection as well as highlighting the mahogany’s natural beauty. With a neck constructed from mahogany, the Nexus Venus offers a quick and dynamic response with plenty of warmth and resonance. Mahogany’s nature allows it to respond superbly to numerous playing styles and techniques with ease, perfect for getting creative and unleashing true potential. Furthermore, the neck is topped with a Macassan figured ebony fingerboard that adds ringing sustain, plenty of bite and a bright sizzle to the guitar’s overall tone. For added aesthetic appeal, the fingerboard also features Faith’s majestic ‘F’ logo placed on the 12th fret and inlaid in mother of pearl for an elegant look. Faith took their inspiration for the Venus from auditorium sized guitars and created their own iconic Venus shape that provides the player with easy, comfortable playability and versatile sonic performance. Additionally, the Venus shape is also an idyllic all-purpose guitar that offers a balanced and articulate response with great volume and projection, equally-suited to both fingerpicking and strumming. Furthermore, to add to the comfortable playability, the Faith Naked Venus also has a venetian cutaway profile which offers easy access to upper frets, allowing the player to perform more technical skills without being restricted higher up the fingerboard. The Faith Nexus Venus comes equipped with a Fishman Isys+ preamp, offering basic sound tweaking for live and rehearsal environments. The on-board preamp features rotary controls for volume, bass and treble; allowing a player to add a little extra bass or treble to their amplified sound whilst a phase button can be used to reduce undesirable feedback when plugged in. 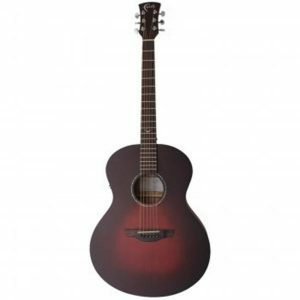 In addition, the preamp also features a convenient built-in tuner that has an easy-to-read LED screen, perfect for tuning up or down within the darkest of venues; as well as being ideal for precise and easy tuning when playing acoustically. With this sophisticated preamp system, the Nexus Venus is perfect for the gigging guitarist and recording session musician or singer/songwriter. The Patrick James Eggle X-brace design and is made from quarter-sawn spruce, offering reinforced structure with enhanced tone and volume. Bracing serves two purposes, to stop the guitar from collapsing under string tension, and to shape the guitar’s sound. 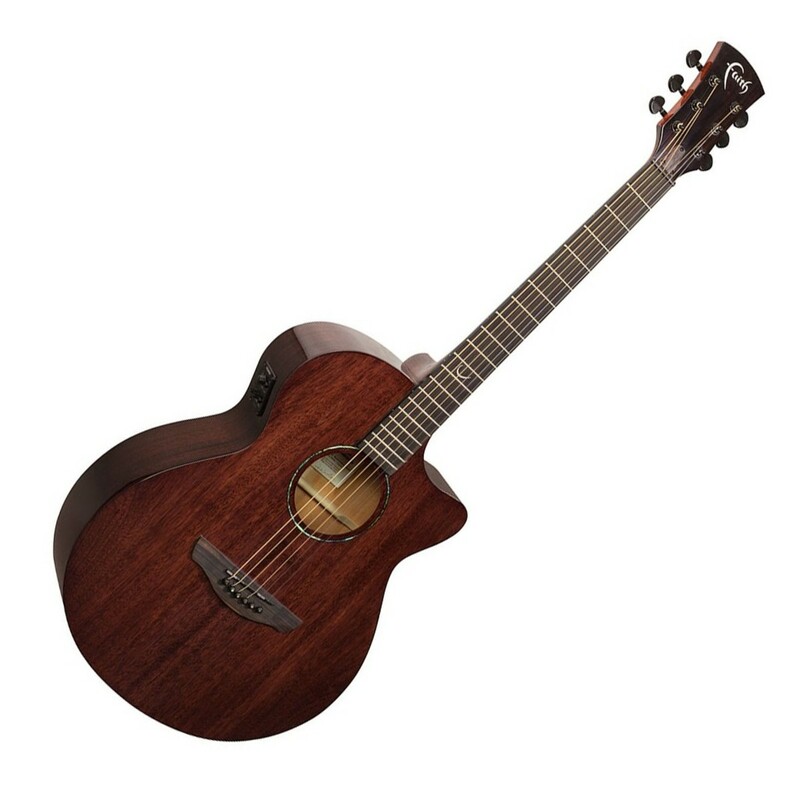 The Patrick James Eggle X-brace design forms an X shape that intersects just behind the sound hole, giving support and stability to your guitar, and a rich, beautifully balanced tone with superb volume, projection. With workshops located in West Java, Indonesia, Faith have dedicated their working lives to both sustainable and ethical manufacturing processes, and are extremely conscious of environmental and human resource concerns. Each Faith model is produced in accordance with this vision and radiates the elegance of craftsmanship and superior tonal sounds for which Patrick James Eggle’s designs are so well known.